#BBNAIJA: Is Drama Brewing Between Teddy-A And His Babymama Over Bam Bam? 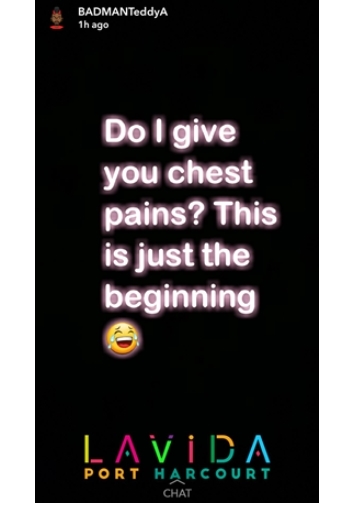 Some conspiracy theorists and latest posts on social media are indicating that a drama is currently brewing between Big Brother Naija housemate, Teddy-A, his babymama and Bam Bam. 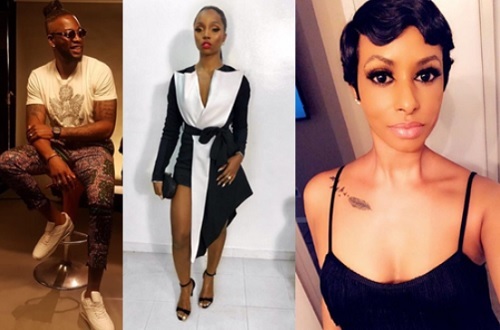 Former Big Brother Naija 'Double Wahala' housemates, Teddy A and Bam Bam who became a romantic couple and continued their relationship after their eviction, has been doing very well in recent weeks in terms of their businesses and entertainment moves. Recall that the couple's romance went to a whole new level after Teddy-A with his family threw her a surprise birthday party for Bam Bam as their #BamTeddy fans termed them 'Relationship Goals' and celebrated them all over social media. During the just concluded BBNaija reality TV show, Teddy had disclosed to Bam Bam that he had a son with his ex-girlfriend, Layla, but they were no longer romantically involved as she supposedly moved on and got married. 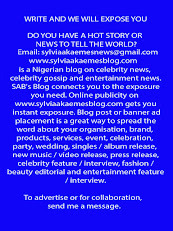 A mild drama had reportedly begun after Teddy-A's babymama, Layla took to Twitter during the show to clarify that she wasn't married but single, and no one however paid attention to her claim. 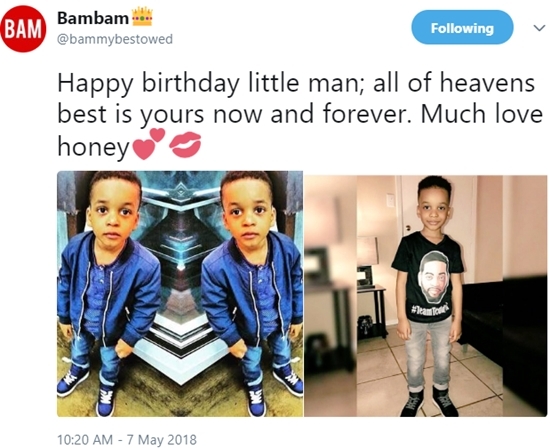 It now appears that she's dropping subtle shade at Bam Bam for trying 'too hard' in her new found relationship with her baby daddy, because Bam Bam took to her social media pages and wished their son a happy birthday on Sunday night. Layla's shade might have gotten Teddy to indirectly react via Snapchat. Or could he be referring to something else? See his post below.